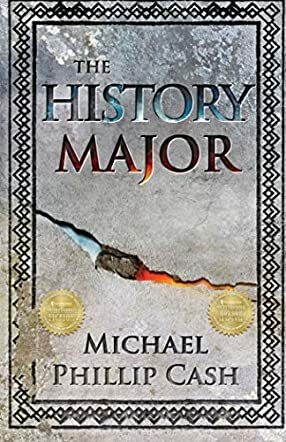 The History Major is a paranormal novella written by Michael Phillip Cash. Amanda Greene awoke awash with confusion; she remembered drinking too much, but not what had happened, nor why she hurt so much. Things seemed to have changed overnight. Trees that were thick with leaves yesterday had succumbed to autumn in the space of a single evening, almost as if a mirror to her own heartache. She and her boyfriend, Patrick, had fought, and now he was out of her life forever; already she felt lost without him. But this was not all that had changed - her timetable was no longer the one she remembered, her classes had altered and she found herself scheduled for History, something she had wished to avoid, and it seemed that no one was willing to correct the mistake. It is said people get trapped in history, and as the doors close and she is forced to go to her seat, these words take on a whole new meaning. I thought Michael Phillip Cash's way of integrating history with the story was brilliant. We meet Joan of Arc, portrayed in a fashion that is wonderful to read. Though I'll admit to not being much of a history reader, I found this portrayal fitted the style of an urban fantasy perfectly and brilliantly reflected exactly what they were attempting to achieve. Lucrezia Borgia and other characters all appear to lend a helping hand in ways you'd never imagine. I was completely enthralled by this story, wondering exactly what had happened, what the dark force stalking Amanda was, and how she came to find herself in this strange situation. I enjoyed this book so much I was actually disappointed when it finished, although it finished at the perfect point. This is certainly a gripping read, with some unique ideas and philosophical applications. For a fascinating, intriguing read, look nor further than The History Major.